ACUPUNCTURE: Acupuncture is a safe and natural method for treating pain, disease, and any emotional or physical imbalance. 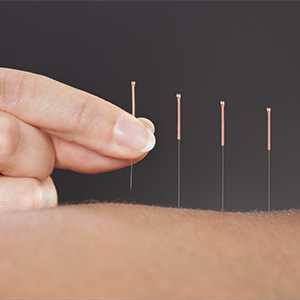 Sterile, thread like needles, are placed into certain points associated with the 12 main meridians in Chinese Medicine. The sensation of “qi” is attained, similar to a sensation of warmth, fullness, or tingling, leading to a tranquil, meditative state. The needles invigorate energy and balance the system, promoting the body’s natural ability to heal. 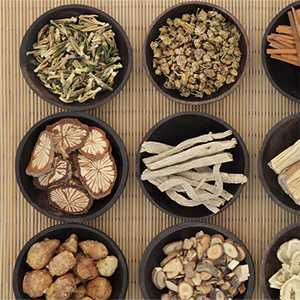 CHINESE HERBAL MEDICINE: Chinese herbal medicine consists of over 300 individual herbs compiled into specific formulas designed to treat specific patterns that occur in the body. These traditional formulas have been taken for thousands of years to cure internal/external and physical/emotional diseases. Each formula can be modified according to the specific imbalance and can be taken in many forms—cooked into a tea, granulated into powder, consumed as a tea, taken as capsules or teapills. Chinese herbs are very effective and have fewer side effects than western pharmaceuticals. CUPPING: Cupping is an ancient folk medicine practiced by many traditions to relieve muscle tension, move congested phlegm in the lungs, detox the system, and more. The suction created promotes blood flow to the congested area and immediately reduces muscle tension. Often times, a dark circular mark will remain on the skin directly after the cup is removed. This is a normal response that indicates the amount of lactic acid build up in the body. It will clear within a few days or up to a week, depending on the severity of the condition. MOXIBUSTION: is an herb traditionally used with acupuncture. It can be used in many different forms. Often times it is burned on the needle to heat up a point or moved above a region of the body to promote warmth, circulation, and healing.